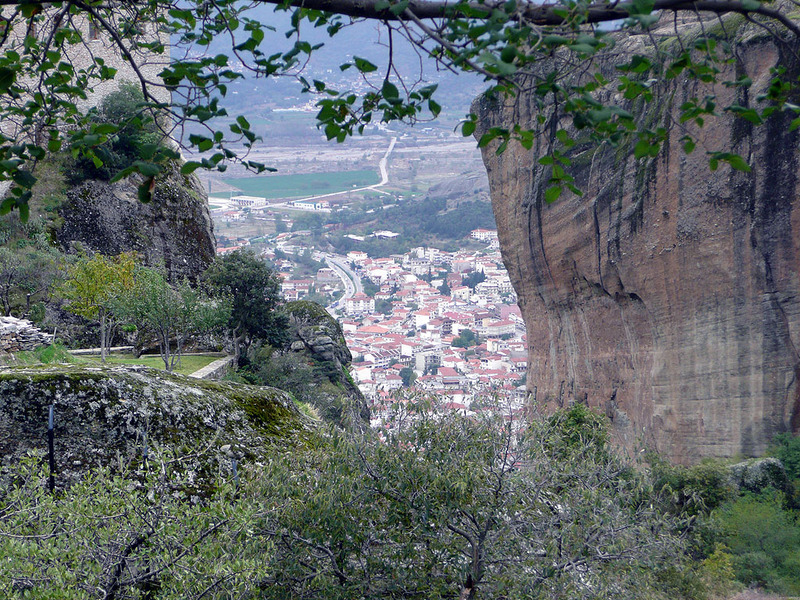 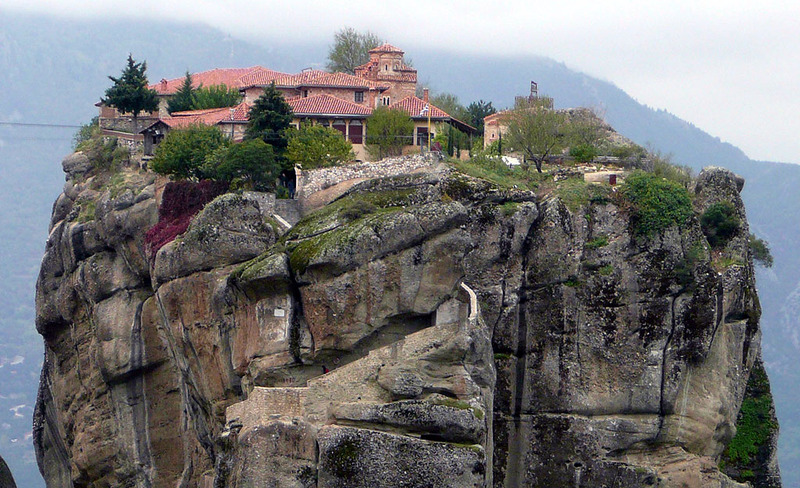 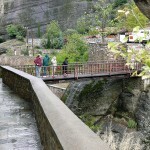 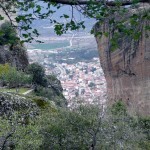 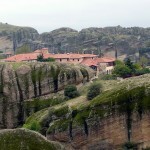 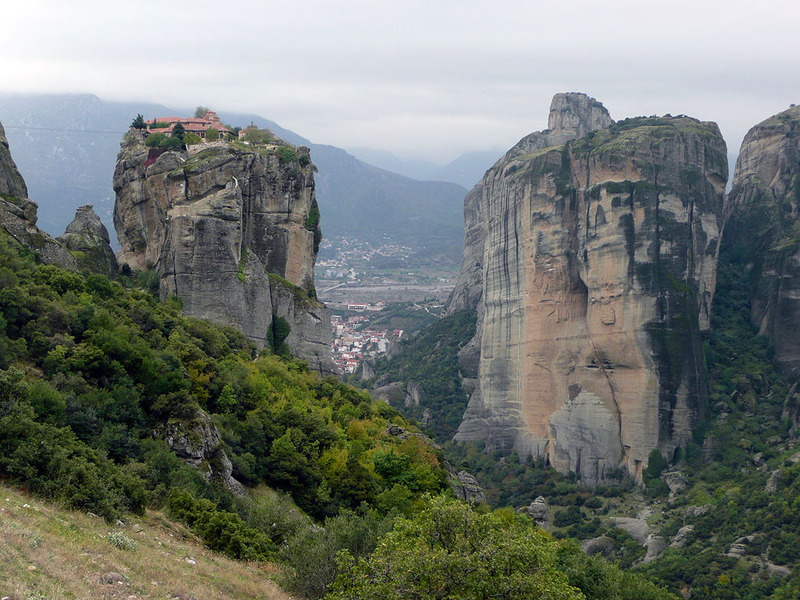 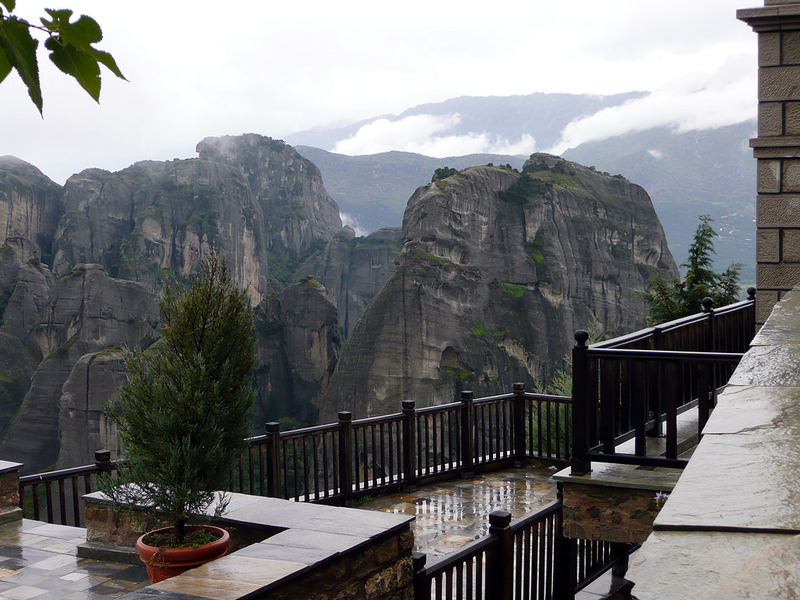 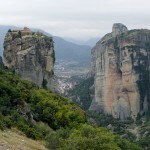 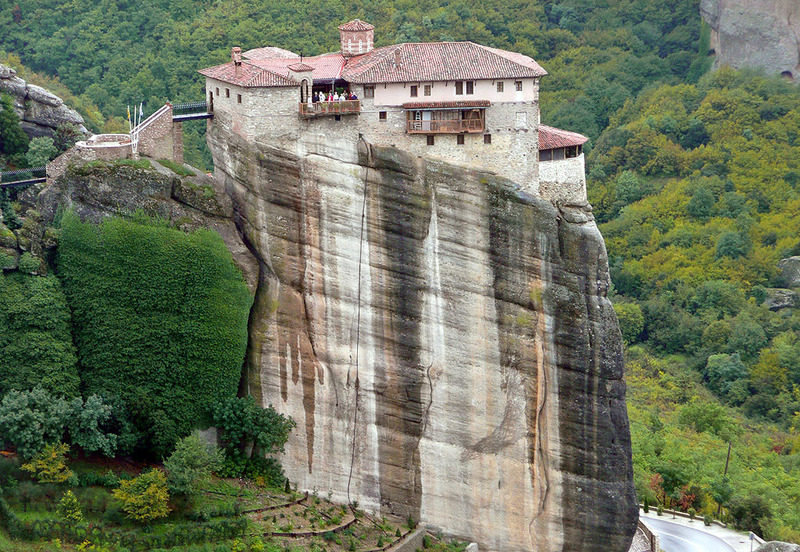 Meteora is an area that reaches to the skies above Kalambaka, Greece. 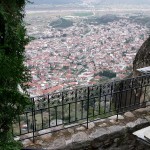 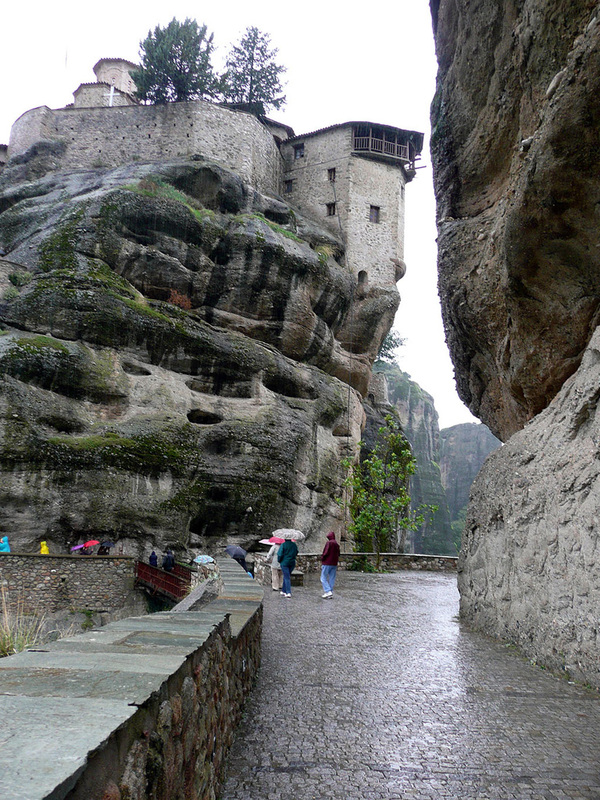 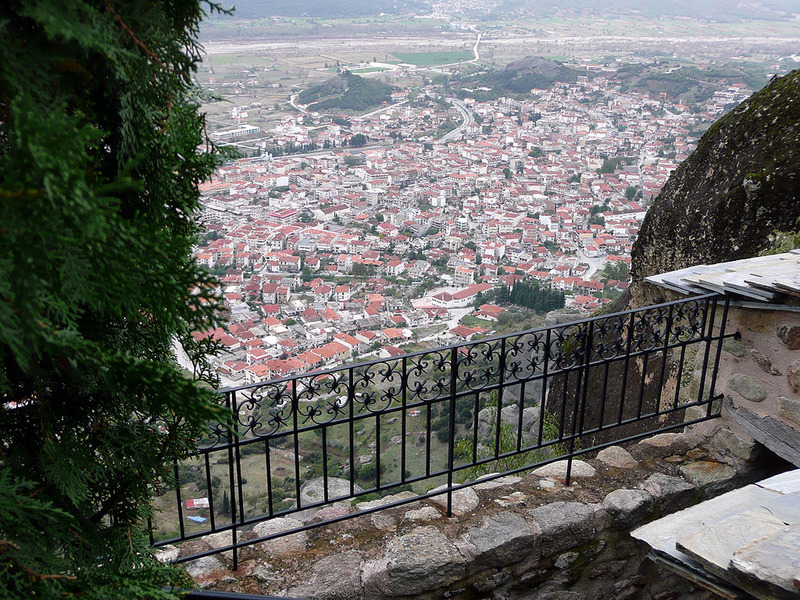 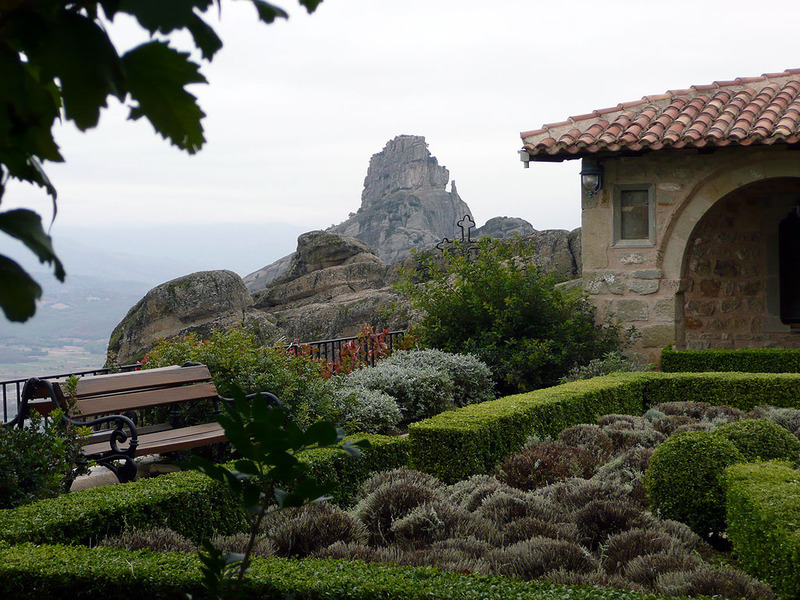 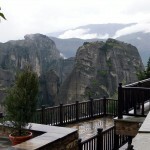 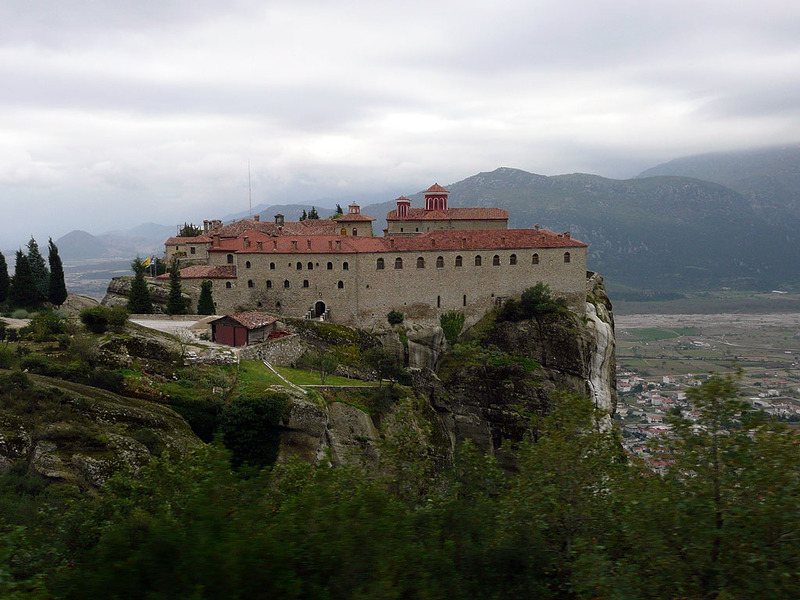 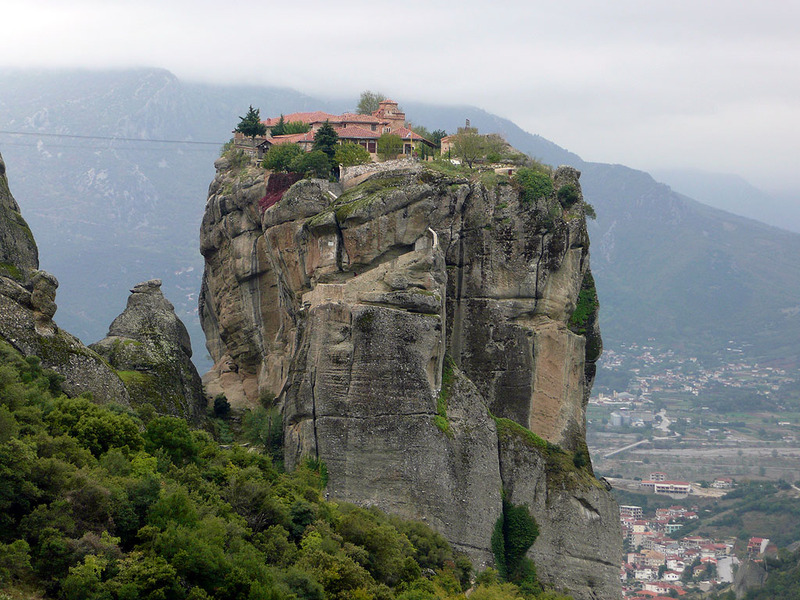 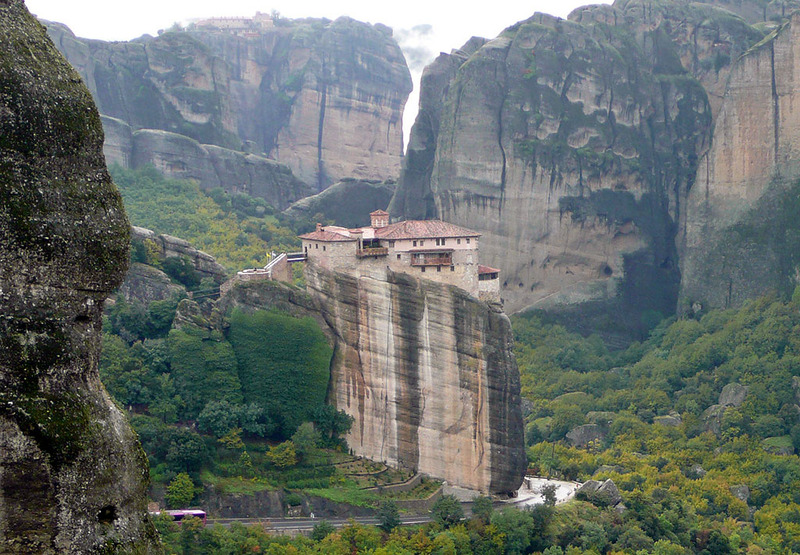 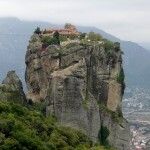 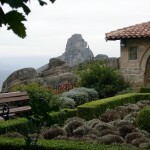 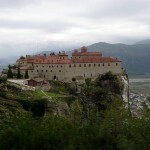 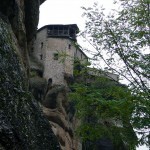 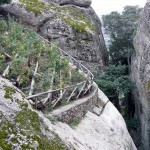 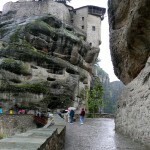 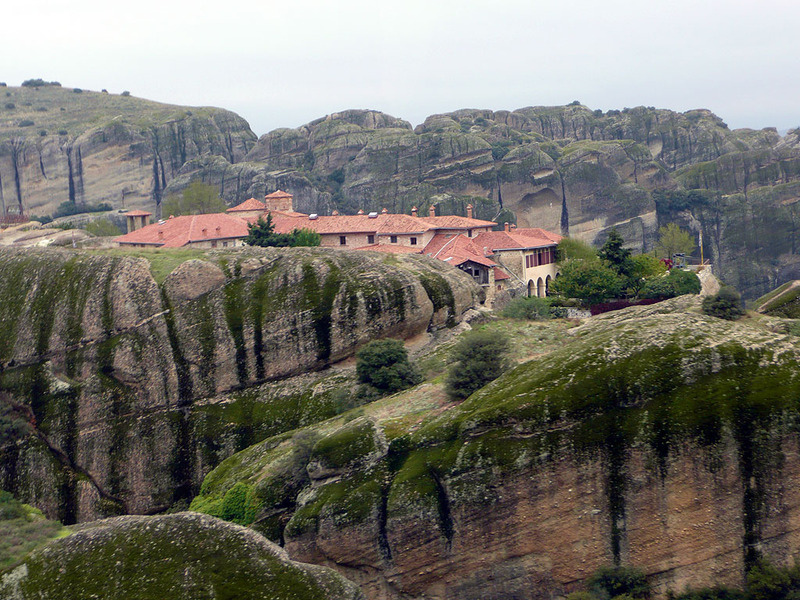 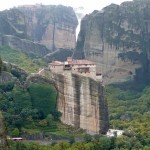 It is noted for its monasteries built on the top of almost inaccessible rock-structures that rise hundreds of feet above the surrounding valley. 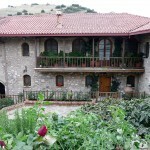 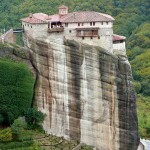 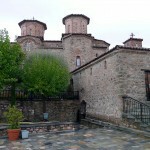 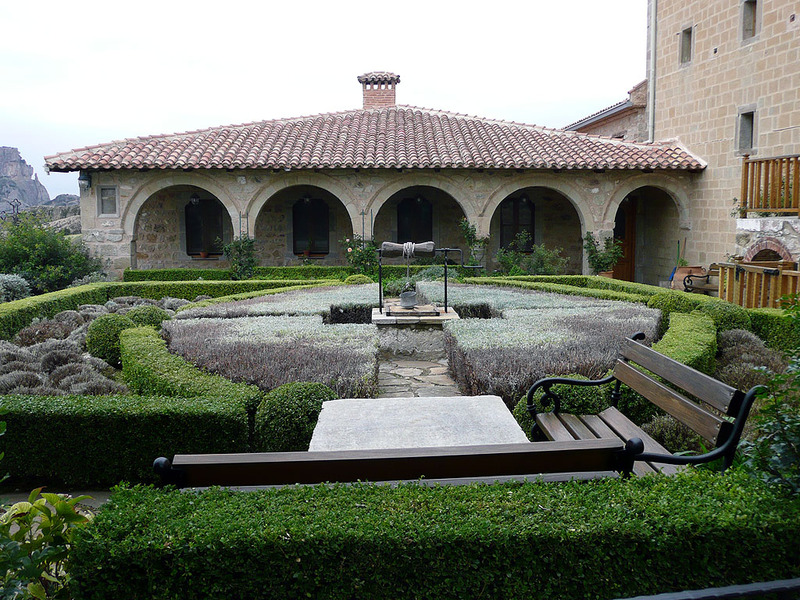 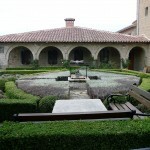 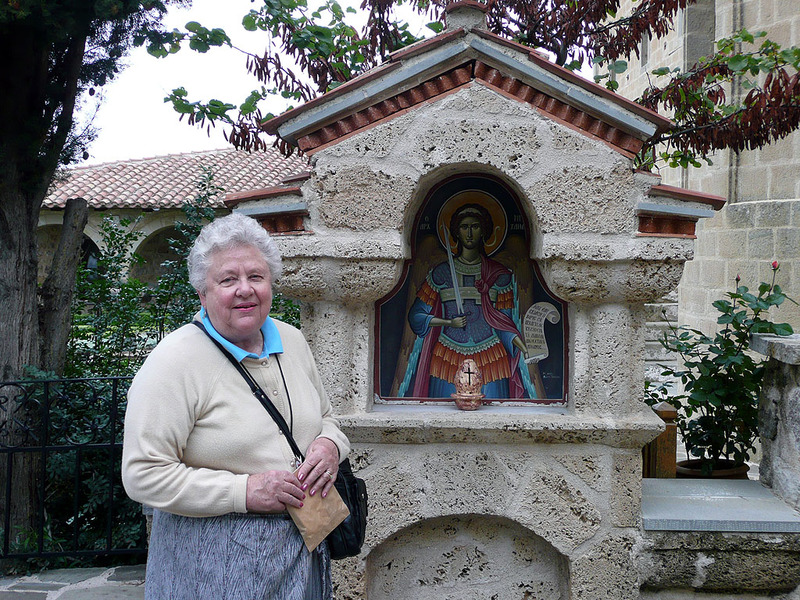 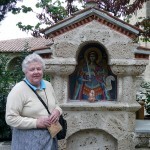 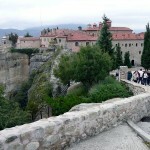 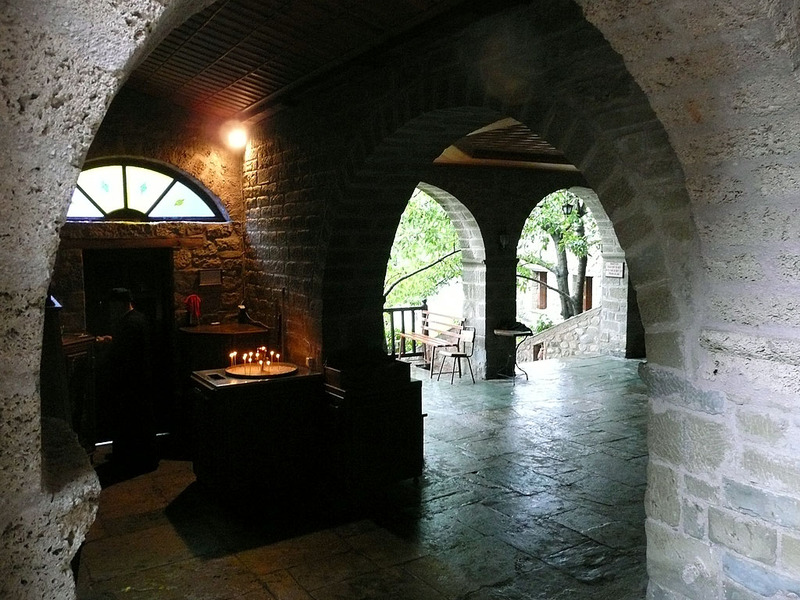 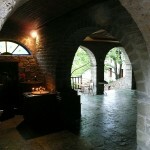 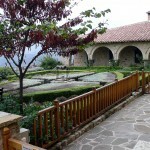 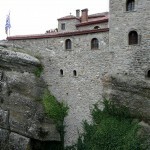 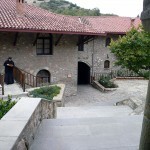 Thanks to modern photography, the first three pictures show a sequence of shots of the Monastery of the Holy Trinity. 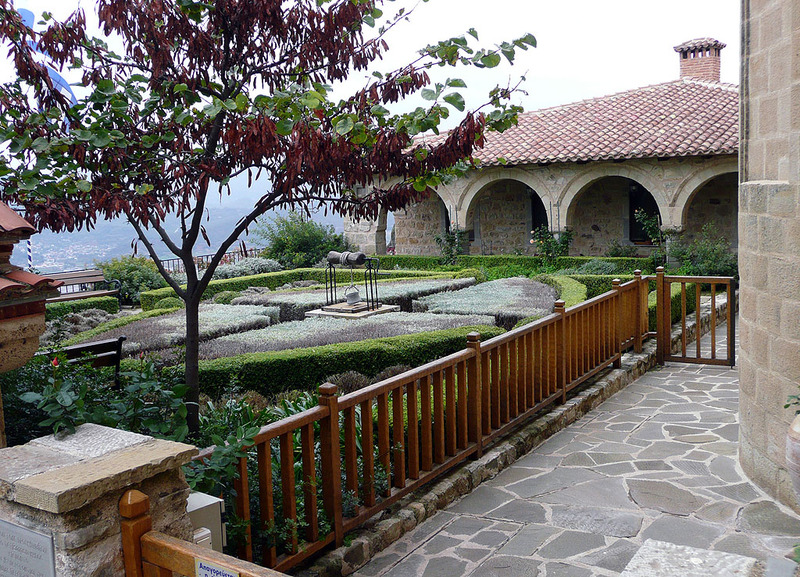 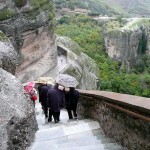 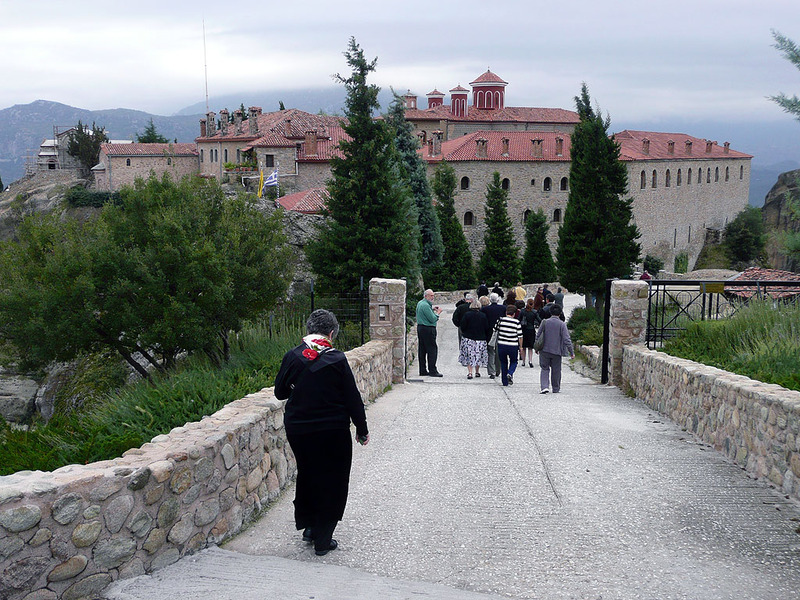 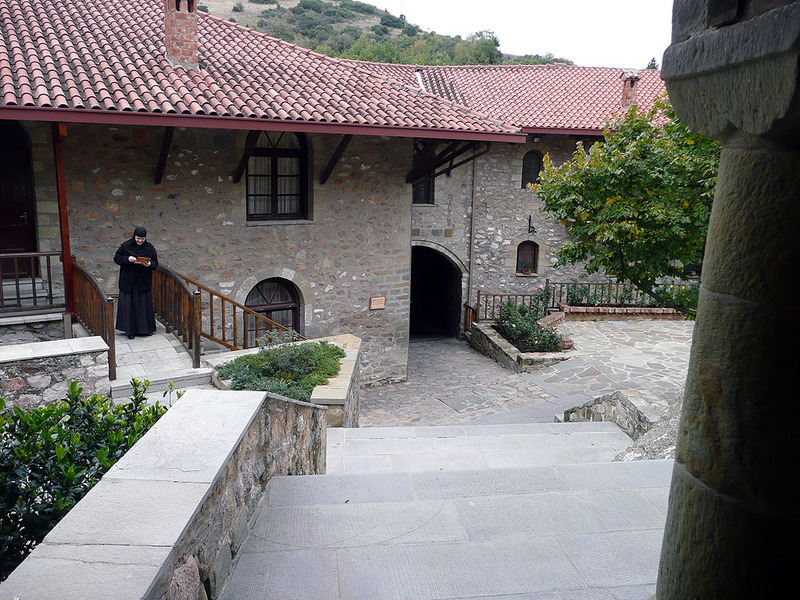 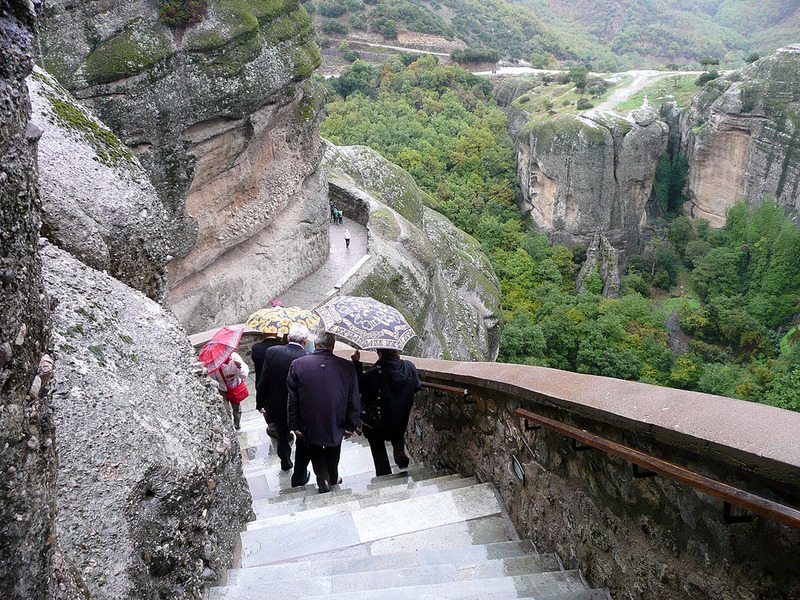 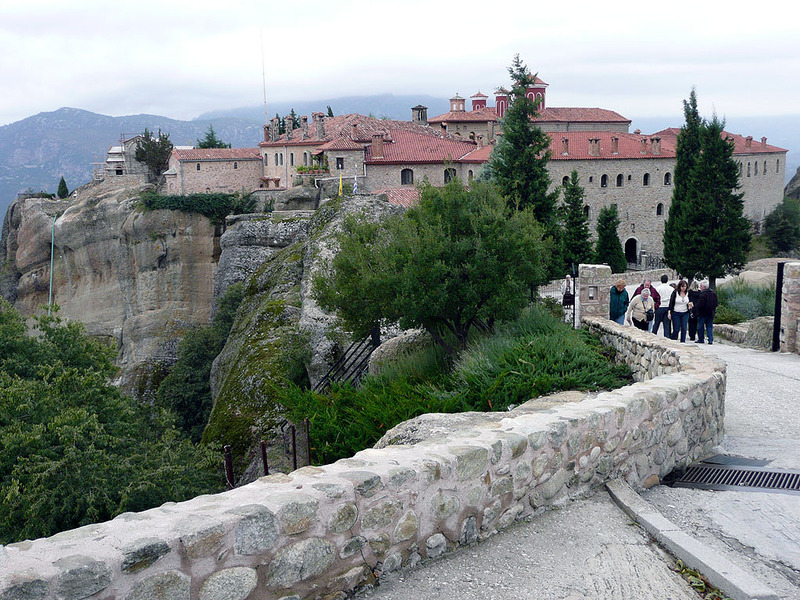 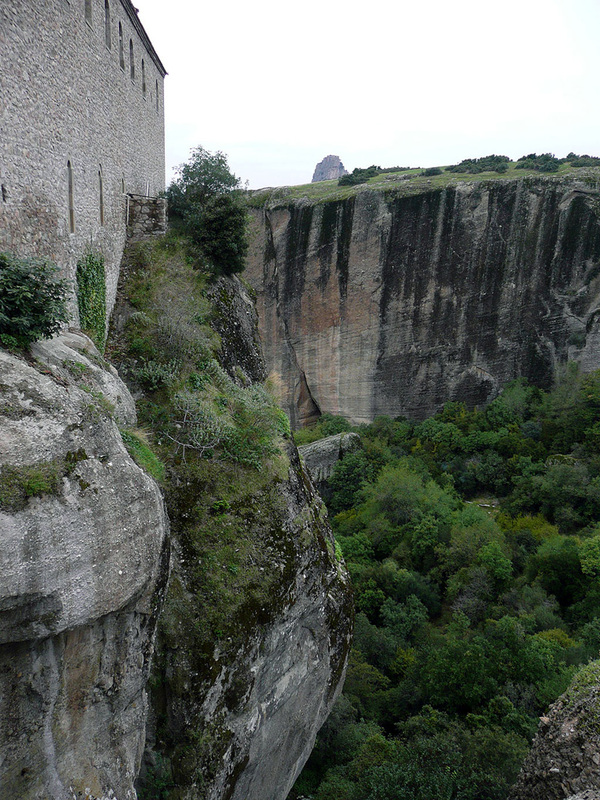 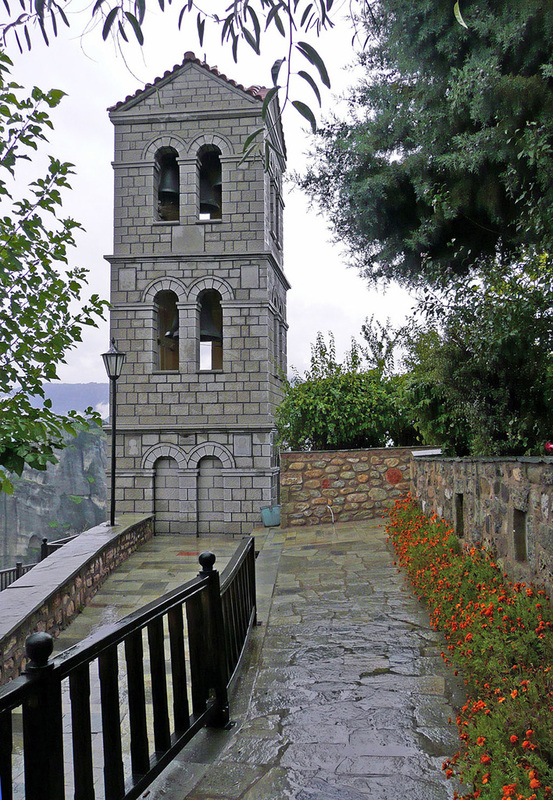 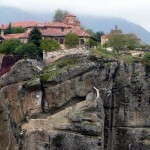 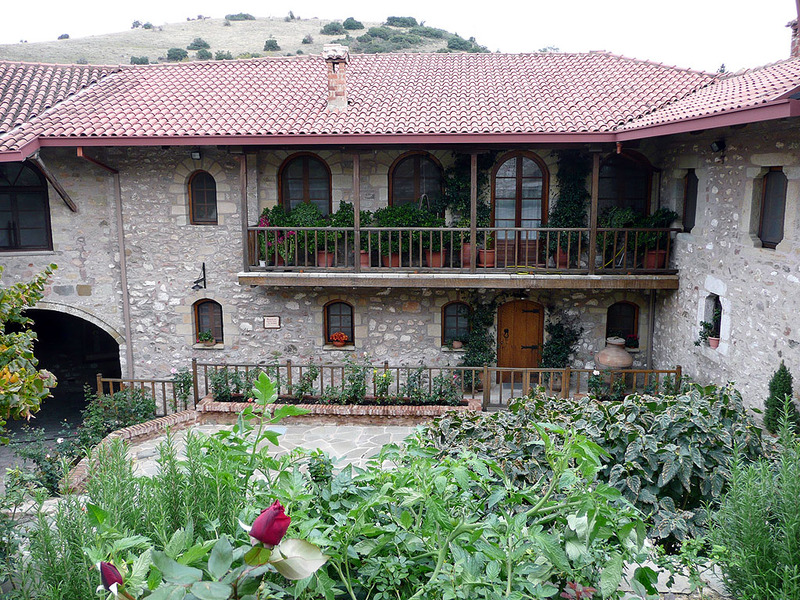 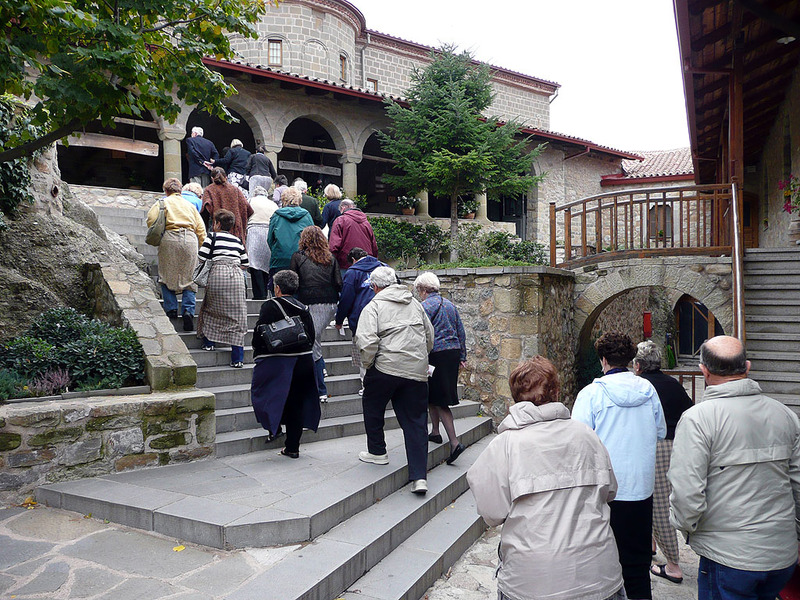 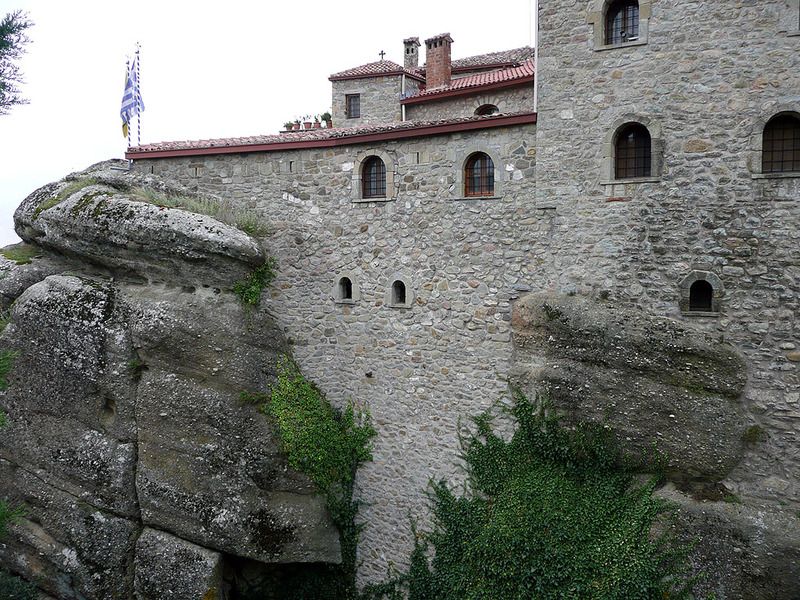 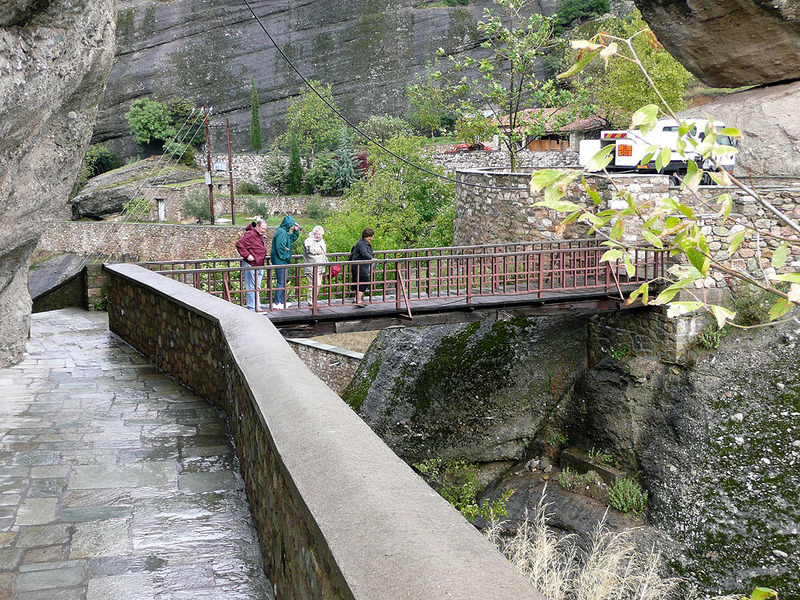 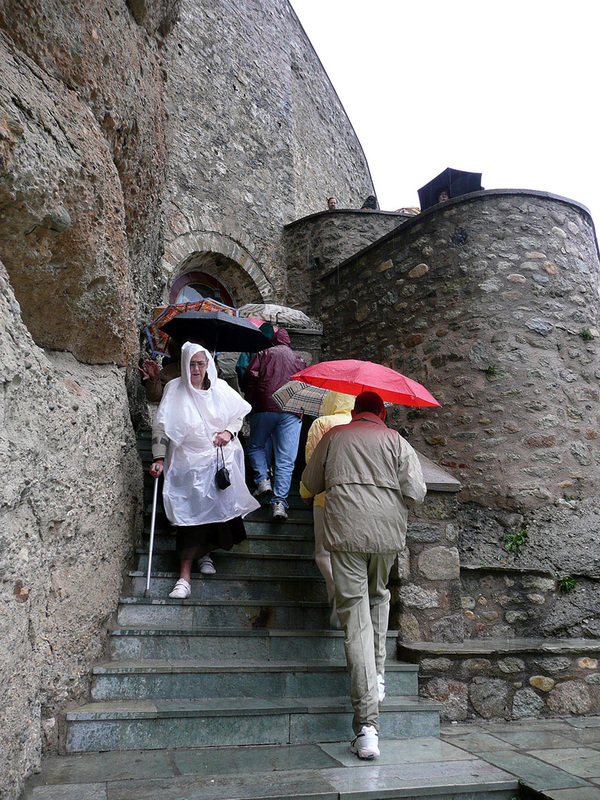 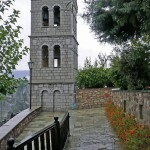 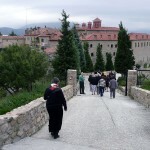 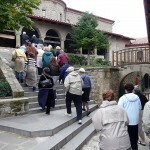 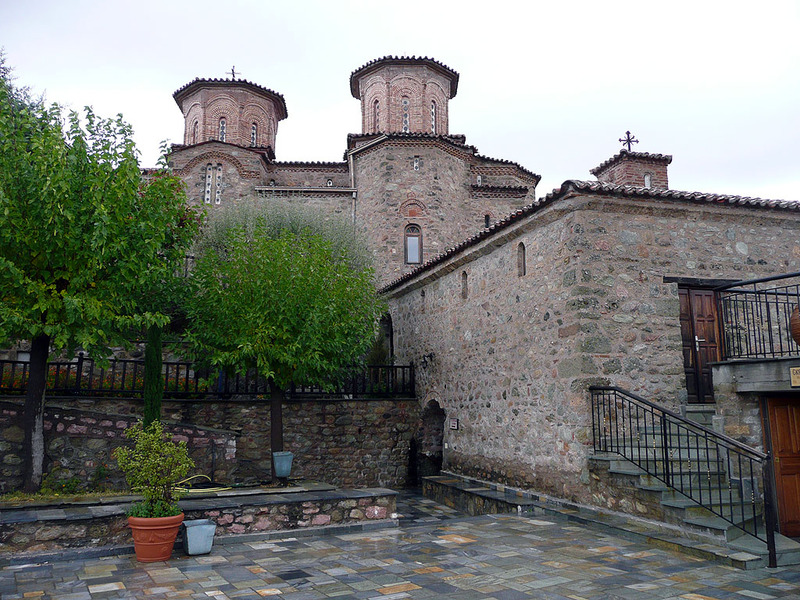 The third clearly shows individuals on the steps leading down from the monastery, as well as two persons on the entry steps to the monastery. 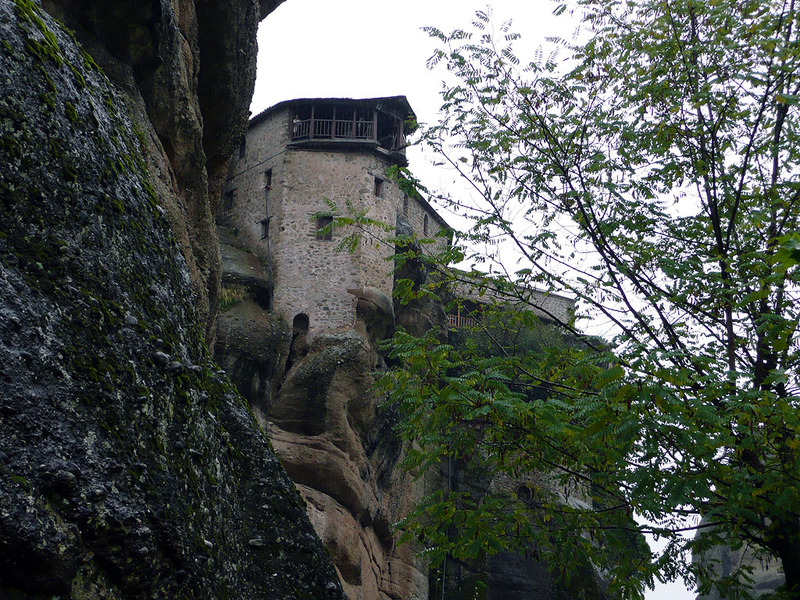 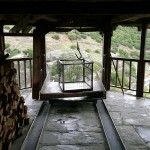 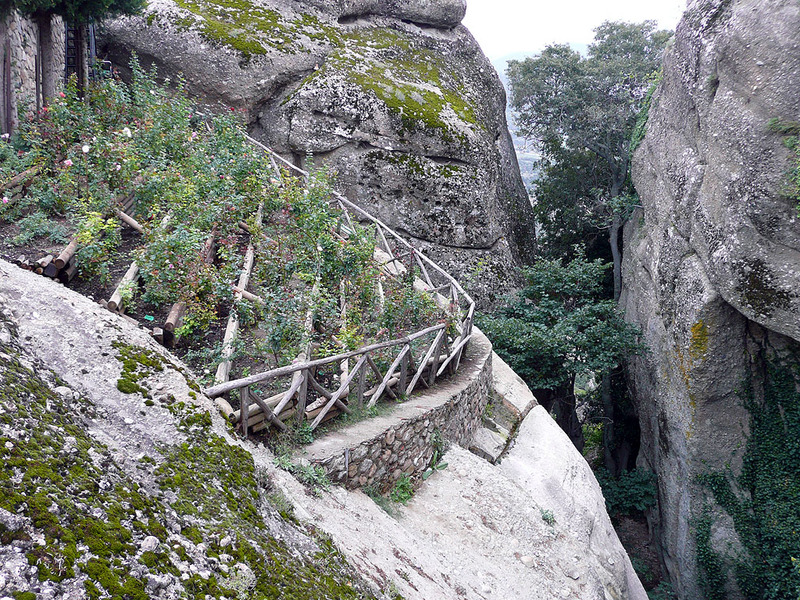 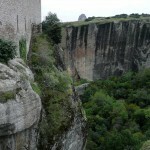 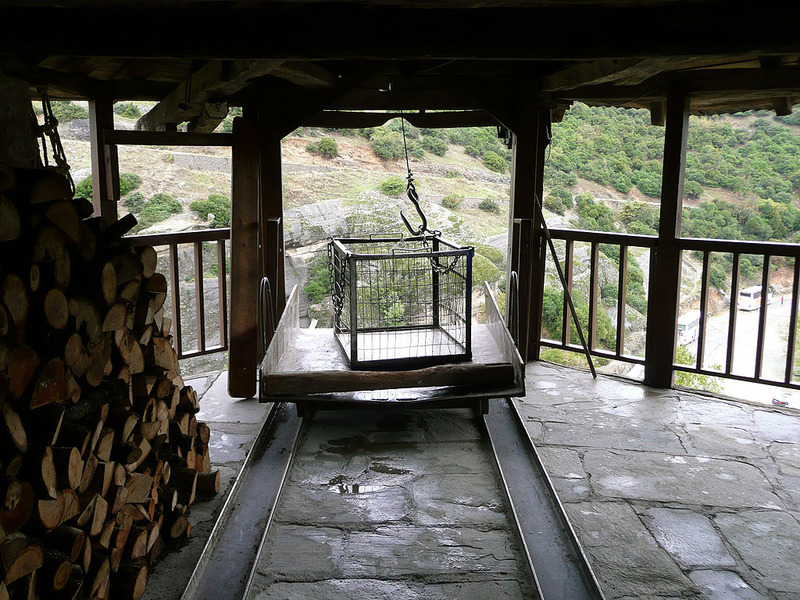 When security was a serious issue, the only access to most monasteries was through a heavily barred single entrance, or through a basket suspended by a rope hundreds of feet above. 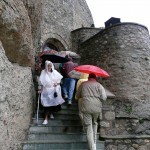 Prayer may well have eased the ride up or down in the basket.